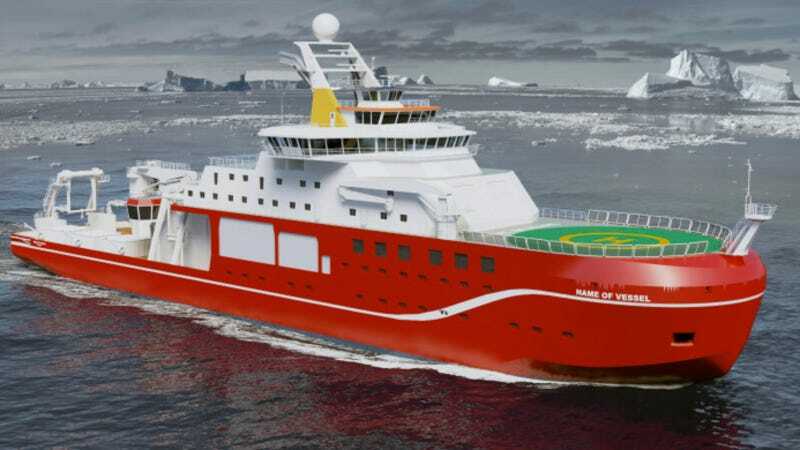 Recently, the UK's Natural Environment Research Council (NERC) invited the public to decide what to name a £200 million (about $284 million) research vessel. Those interested were asked to submit a name online and vote for their favorite. The NERC had high hopes: NERC chief Duncan Wingham said the group was "asking for their help to find her a name that encapsulates her role at the forefront of UK science." But just hours after it was submitted, one option quickly became the most popular one, and it probably was not what Wingham had in mind. Voters flocked to the poll site and clicked Boaty McBoatface in droves. It quickly became the frontrunner and as of April 16, when the poll finally closed, it has become the official popular selection. According to The Guardian, 124,109 voted in favor of naming the ship RRS Boaty McBoatface. The first runner up was RRS Poppy-Mai, named after a young girl with terminal cancer. RRS Poppy-Mai received 34,371 votes. In a statement, the NERC said it "would like to thank everyone who has supported our campaign to name the UK's next world-class polar research ship," adding that the "NERC will now review all of the suggested names and the final decision for the name will be announced in due course." But it seems unlikely the arctic research vessel will be named Boaty McBoatface. Regardless of what happens, this ship will always be Boaty McBoatface in our hearts.